Mid-Century décor has been making a strong comeback, and in fact, may be more popular now than ever. Magazines like Elle Décor and television sets like Mad Men and even The Daily Show feature décor that is Mid-Century. We will look at this trend and some appropriate light fixtures, but first we will define Mid-Century lighting. One quick note: Trends evolve and become popular again. They do change, however. These lights are more streamlined than the popular lighting from 70-80 years ago. In lighting, there is no one dominant style. You will probably find yourself a mixture of many different styles. So what exactly is “Mid-Century?” Upon hearing the word, I was at first a little confused exactly what period of time it is referring to. Mid-Century, or Mid-Century Modern as it is now commonly known (thanks to the author Cara Greenberg), refers to the time period of the middle of the 20th century. While some may argue this is 1947 to just 1957, the style truly encompasses a wider span of time from the mid-1940s to roughly 1970. 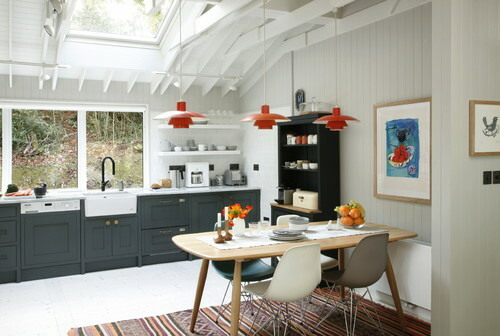 Mid-Century design is about natural materials, simple and organic lines and slender shapes and can even take cues from the Industrial Revolution. Finding this décor used to be a painstaking process as you would have to look for original pieces from designers of the period; however, the look has now become extremely accessible. 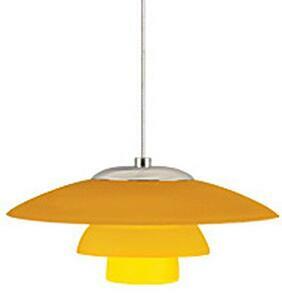 At the acme of retro Mid-Century Modern, the Tech Lighting Pele Pendant. Extremely simple, extremely functional and one could argue that this fixture is timeless. Now let’s look at the truly retro style; the look that many people picture when you say Mid-Century Modern. 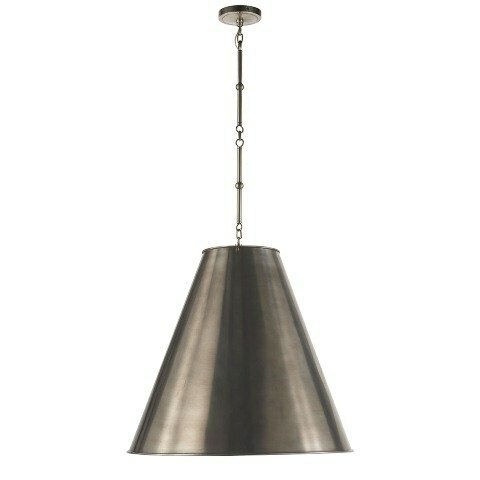 The Sydney pendant by Tech Lighting truly encompasses that look. 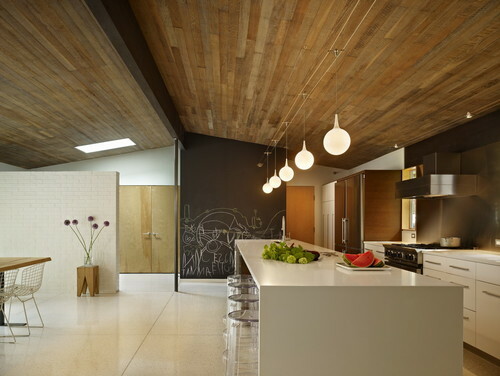 Visual Comfort proves the accessibility of Mid Century lighting. The Hicks Pendant by Thomas O’Brien serves the perfect balance of form and function and comes in multiple finishes from the bronze and antique brass finish shown above as well as antique nickel, hand-rubbed antique brass, and polished nickel. It is also available in three sizes to fit your space. 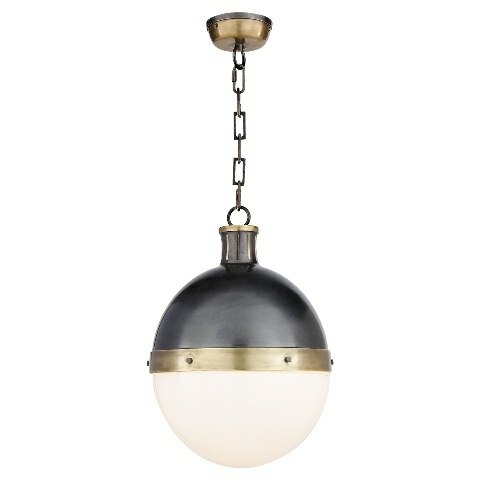 Again, from Thomas O'Brien (Thomas O’Brien is an actual lighting designer, most companies do not employ designers) designer collection the Goodman pendant is the perfect choice for retro and industrial meeting up with chic glamour. 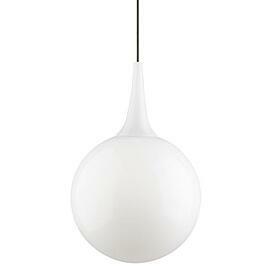 This pendant, too, is available in multiple finishes and even a natural paper shade. My personal favorite finish truly emphasizes the simplicity and a little glamour of industrial mid-century chic; Antique White. Remember, Mid-Century modern doesn’t just mean retro. There is more than one facet to the term and the design can take cues from other styles or be integrated into different design periods. 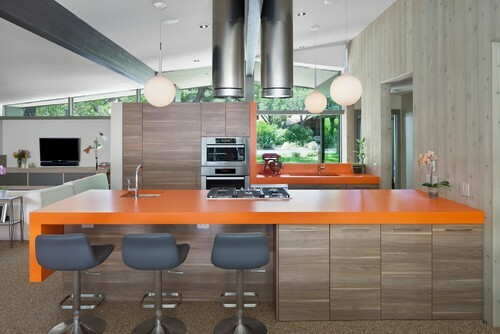 When searching for a mid-century modern fixture, think clean, slender lines, with a natural element to it. Natural finishes truly polish off the look as well. Sometimes it is hard to understand your sense of style. Try reading these three articles below to help you understand. Want to learn how to light your kitchen? 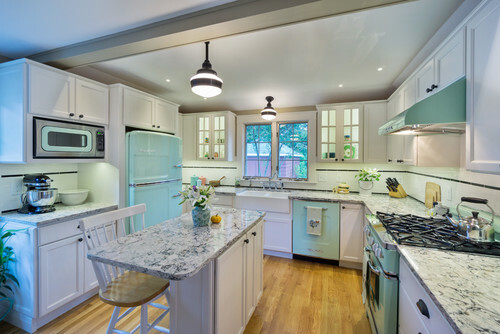 Read the Yale Kitchen Lighting Buying Guide. It will explain light layering, kelvin temperatures and how to create an environment for your kitchen. Well over 165,000 people have read a Yale Guide.